West Valley parents want what’s best for their children, but some can’t always provide everything their children need when the family budget is tight. If your child has crooked teeth and you are on the fence about braces, we encourage you to read this post. Young children with crooked teeth may not notice that anything is wrong, but eventually they will realize that their teeth don’t look right. Straight teeth make the whole face more pleasing and attractive. If your child is self-conscious about an unattractive smile, he or she will be reluctant to smile. A serious demeanor could affect the way he or she is treated by peers. If you suspect that your child’s bite is not aligned, we invite you to make an appointment with Aloha Dental. Dentist Jason Mandelaris can evaluate your child’s bite and make recommendations to see a specialist if required. 3. Crooked teeth can impact normal speech development. 4. Correcting a child’s teeth with orthodontia is faster and easier when the jaw is young and flexible. 5. Crooked teeth can lessen your child’s ability to eat a healthy diet. Misaligned teeth can make chewing and eating difficult. Children need a variety of foods but may miss out on essential nutrients if they can’t chew raw vegetables or meat, for example. If your child only eats soft foods, his/her jaw may not develop normal size and strength. TMD is a dangerous condition affecting the jaw joint. When uneven teeth begin to crowd together, it becomes problematic to make essential daily cleanings effective. And, when your teeth aren’t cleaned properly, problems with plaque build-up, cavities, and gum disease often result. 9. If the child’s crooked teeth are not corrected while they are young, the problems may compound and become worse with age. Severely crooked teeth typically impact well-being and quality of life. For example, chewing troubles can lead to ulcers, and gum disease increases the risk of stroke and heart disease. Ceramic, self-ligating, and lingual (invisible) braces are some of the new orthodontia options. In some circumstances, invisible braces can be just as effective at adjusting teeth as the old-school type. 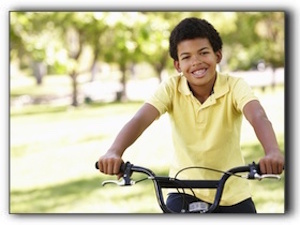 To find out if your child needs braces, schedule a consultation at Aloha Dental by calling 8019699669.